Zone Out’s latest release is both sigh and swoon worthy in equal measure. A month or so ago, I was introduced to the wistful higher power of Zone Out when they played a show in my hometown. Front woman Ashley Bundang and drummer Zahra Khamissa walked on stage radiating sweet vibes with two step-in guests from The Ocean Party, and with that they began to play, blowing my already high hopes way out of the water with their welcoming mellow atmosphere they let loose to embark amongst everyone in the room. You would never believe how utterly devastated I was when I found out the group was from Melbourne, (I wouldn’t be able to see these guys play once a fortnight at the pub a ten minute drive away from home unlike every other local band that resides in my town), and when I came to terms with this, I literally felt my heart drop to the floor and wilt away in despair. It’s okay, though; I soon recovered from wallowing in my own self-pity when I found Zone Out’s bandcamp page later that night. There, I listened to everything they had available a countless amount of times, so, I’m in no doubt that you can gather how I responded to their latest EP, Something Less, that was released last Friday. 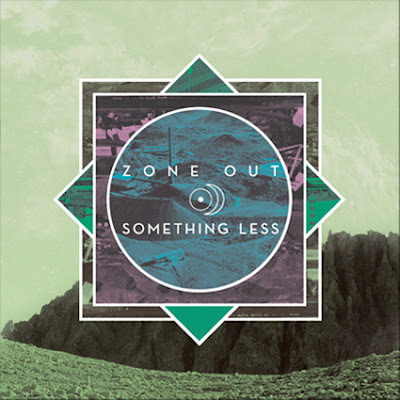 Zone Out’s Something Less has left me doused in a reverb quality that makes me feel all warm and fuzzy inside, the EP starting out with an intro stacked to the brim of a slowly building ambience that sounds like how it would feel to take a slow drive through the foggy town of Twin Peaks, running on the fuel of Audrey Horne’s supremacy as Ashley and Julee Cruise draw out glowing duets from the backseat. The second track goes on to tug on my heartstrings just as excruciatingly, (in a pleasant way), given that "This Place" has undeniably become the sacred song of my late weekend mornings since Ashley first released the track under her solo project, OBVIOUSLY, earlier this year. By the time Something Less is drawn to a close you will unquestionably be left in a trance, being persuaded by the jangley guitars, ambient aesthetic, and ethereal use of layers that flow from of each track excessively. Fortunately, though, each time I’ve been planted in this state I couldn’t have been more content. The only downfall is that the dream pop brilliancy of the EP has been frequently compelling me to sleep in a little too long most mornings. A once-through of Something Less will leave you longing to lose yourself in outer space, or maybe somewhere a little more realistic, like a deserted beach with the shore lapping over the tips of your toes with only Zone Out’s dreamy hum sticking around to keep you company. Listen to more Zone Out on bandcamp. Madalyn Trewin, a scrawny Australian teenager, who is feeding her obsession with dogs, David Lynch and Daniel Johnston twenty-four hours a day. If not that, she's writing about things she likes and saturating her friends in glitter so she can take photos of them to post onto her blog.